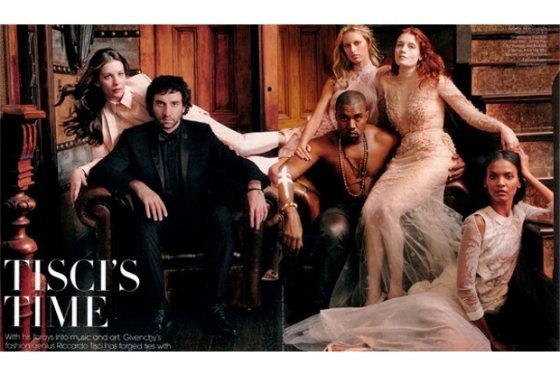 W Magazine’s March edition features supermodel Kate Moss embracing her good and bad side. Photographer Steven Klein and fashion director Edward Enninful team up for a darker look at the spring collections featuring pieces from labels such as Balenciaga, Jil Sander, The Row and Louis Vuitton. I would admit it was kinda hard to decide whether I love the shoot or not (based on spiritual reasons). However, I do appreciate the imagery involved. Being in America, people find the smallest things as offensive. Sure Kate Moss is wearing a habit in a dark cathedral. Aren’t most cathedrals has a Gothic presence behind them? At least she is not trying to seduce the cross in her hand until like some people. I have the strangest feeling some would consider this as “controversial”, which shouldn’t be the case. 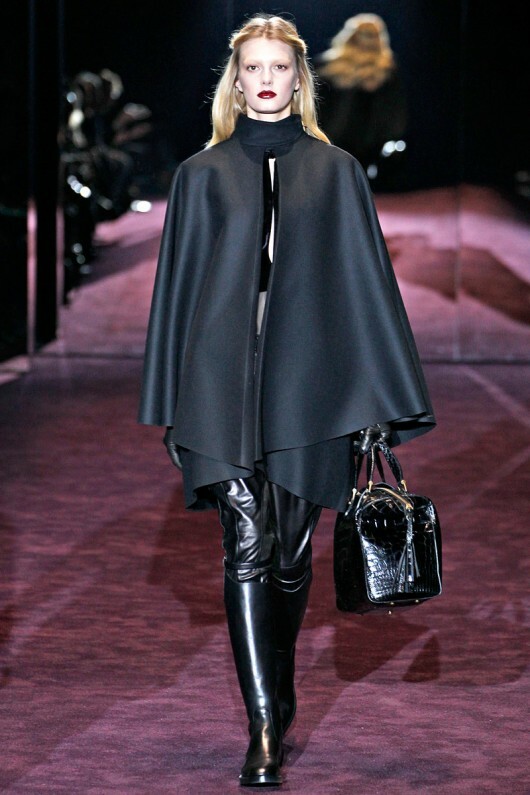 It appears that Gucci‘s creative director,Frida Giannini, has decided to take it to the dark side (noir) for the 2012 women’s ready to wear collection. 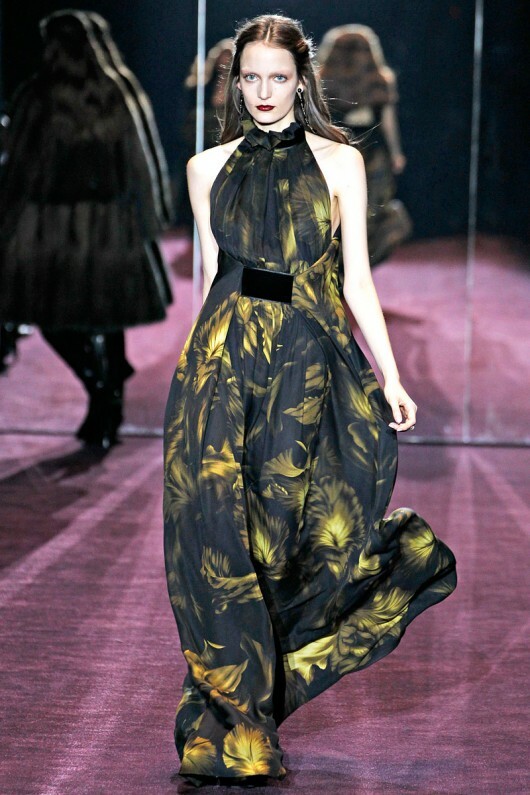 Honestly I believe this collection was a breath of fresh air from what I have normally seen Gucci present. Majority of the collections exhibit a glamorous appeal, which has been seen in countless celebrities and ads; however, I am more than sure this flow shall not diminish the same effect from these Garments. I love the oversize leather jackets along with the Velvet maxi dresses. There were some gorgeous gowns, which boasted deep v-necks, sheer black tulle, and some leg action. I like how Giannini made a different direction regards to the tone. I love the collection. 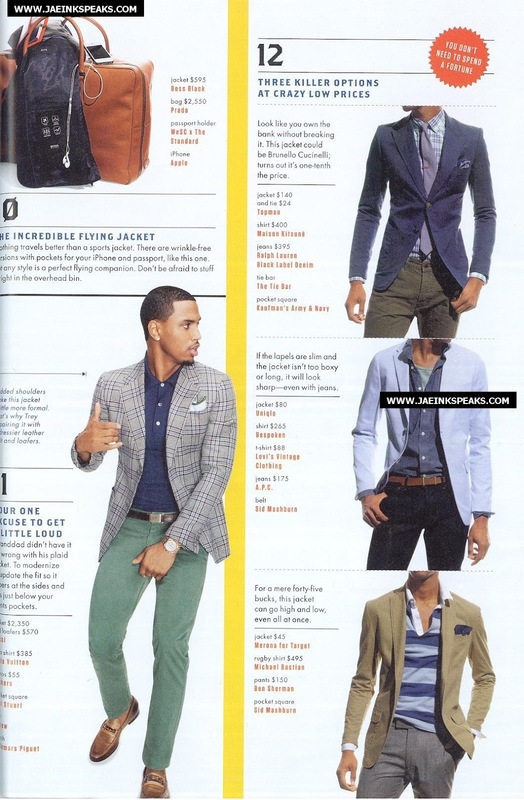 Trey Songz is being featured in the latest March issue of GQ magazine. I will admit this hit me off guard for GQ selecting him for their style section. Needless to say, he killed every shot! There were no dull moment from any of the garments. 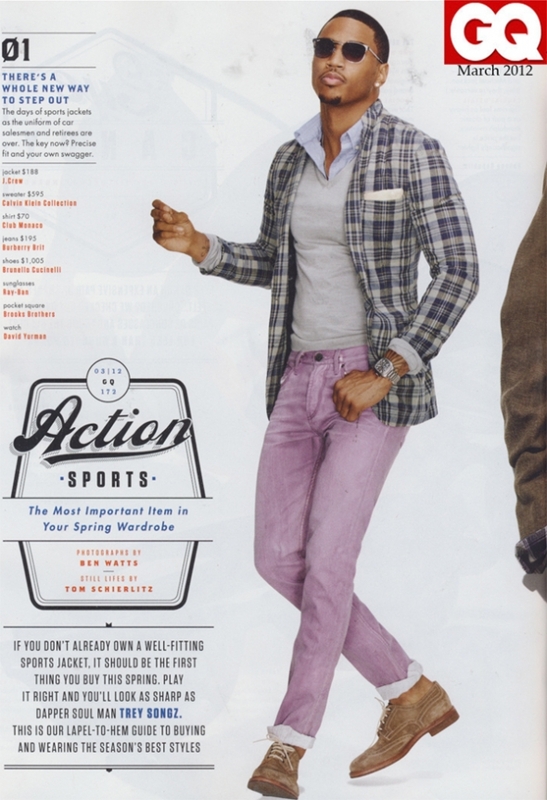 Shown through the images, the shoot focused on different ways to rock a sportscoat (along with the difference between sports coat and a blazer). Some of the looks range from prep, modern, and dapper which should guide inspirations for its readers which style fits them. There are only a handful of individuals from my generation and down rocks with the sportscoat. I must admit there were some looks which gave me some ideas. Once good think about style/fashion is the ability to be inspired and make it your own like Trey Songz. Nicely done! 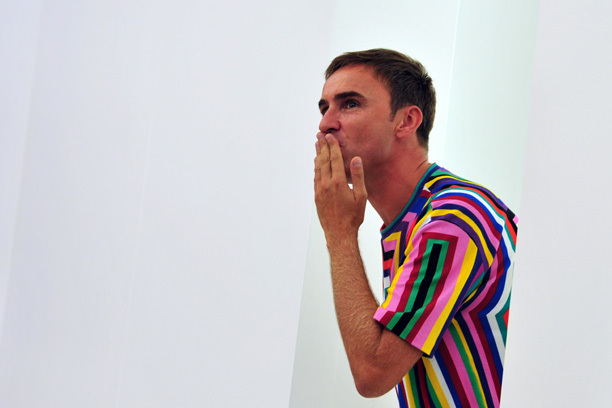 It has been reported the Belgian fashion designer, Raf Simons, recently “chucked up the deuces” as creative director of Jil Sander. With this resignation, I am skeptical for his role with Dior is official or not. However, where ever Simons take this role else where is unknown for the moment neither has Jil Sander announced their replacement. Raf Simons has done a tremendous job being there close to a decade. There are some major shoes to fill in whoever the designer maybe. Xiaolin Gruv has been underground for a while slowly sweeping the dancing scene. I have recently posted material demonstrating this martial arts/dance performing act innovated by my good friend Carmichael Simon. 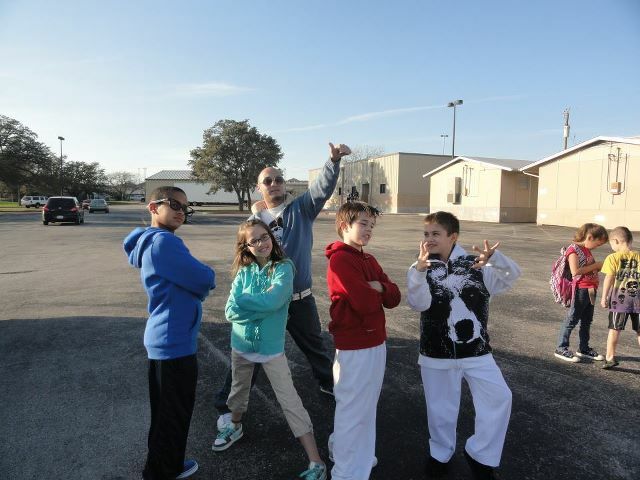 This time he has focused on giving his talents towards this youth who recently competed in a dance competition. These kids have been working with Carmichael for over 3 months and has showing potential as relaying the torch of this aesthetic. Their performance was rehearsal a couple days ago, which I believe they done pretty well. I wish these kids to continue to be inspired and keep on pushing into the gruv! It’s funny to me who some people say certain colors are considered feminine. Colors such as purple, magenta, and pink tend to cause a stare from those conservative people. Life is not always black and white. No matter who we tend to view things, there should always be energy rising from the surface. 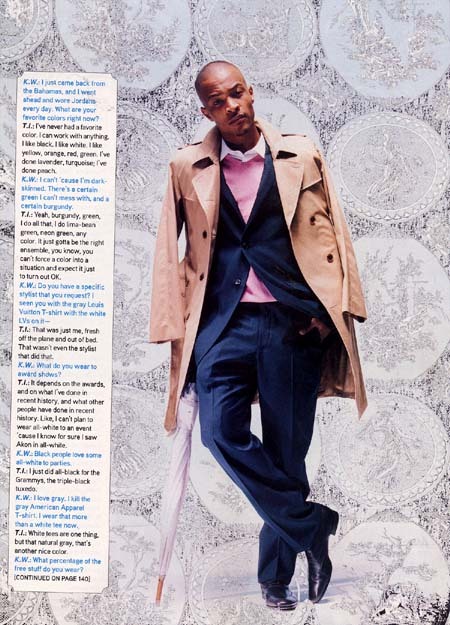 I am all about being daring to stretch the limits a bit; however, seeing other individuals such as hip hop T.I. 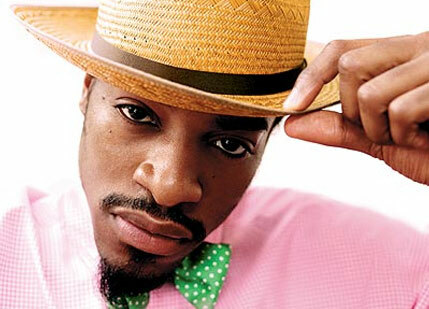 and Cam’ron rock pink is quite fascinating. It take major balls to wear a color labeled as soft. Once you wear a loud color garment, you must to wear it with pride! “Whose gonna check me” attitude is the way to go! Never mind what the dudes have to say; it’s all about what the ladies think! Believe it or not, women applaud men who use a splash a color from time to time. Sometimes people believe its best to kick high! Sure seeing high kicks in martial arts are very appealing. It shows your flexibility, precision, etc. Some of the most effective kicks are executed below mid level. If you wanna chop them down to size, kick them low. 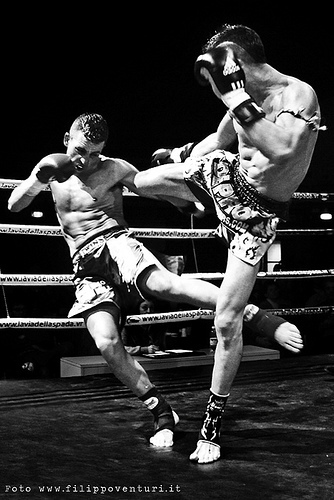 Lower kicks are the least appealing, but more effective. They are easier to execute as well! I love her work… There is a reason why she is one of the top model out. She just sells it, everytime! David Gandy cov­ers the lat­est issue of Schön! Giving the dramatic approach for the color palette in blue and black, David rocking some of the hottest labels, rang­ing from Hugo Boss and Alexander McQueen to Dior Homme. One thing I appreciate is the contemporary fitting of the garments. Each look has a masculine Euro appeal, which can makes you admire the ensemble. 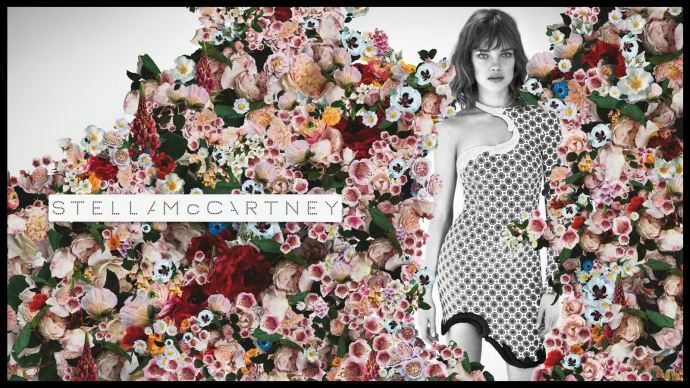 Stella McCartney has been mentioned quite recently. 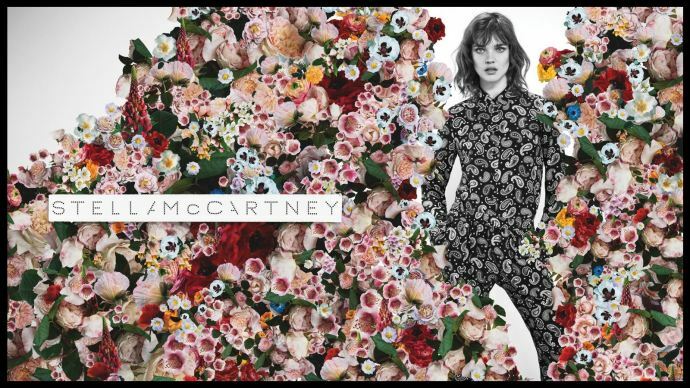 Judging from the looks of this campaign of her brand, I could not help to think of nostalgic inspirations. 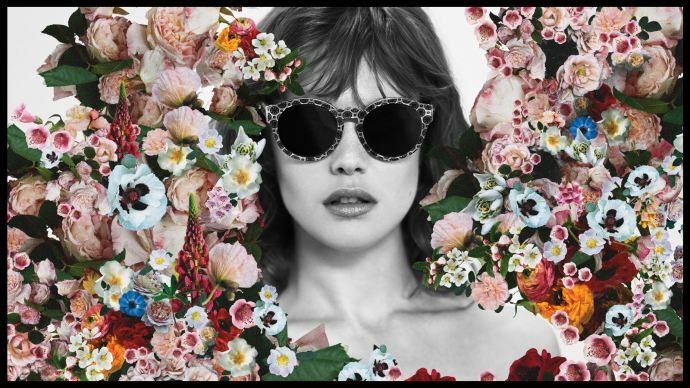 The shots featuring the model alongside the flowers gives off a groovy look.